Cycling can occasionally be an uncomfortable sport. 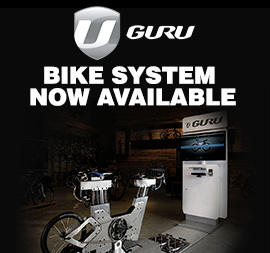 We've all been in situations where we've been caught in a downpour and had to cycle many miles home in damp cycling kit, or if your bike isn't quite fitted right you may get some back or shoulder ache on longer rides. Most annoying though are saddle sores. 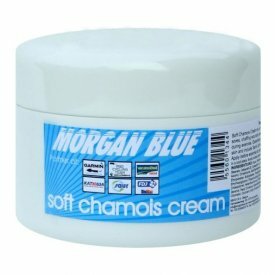 Luckily we offer a range of chamois creams to help ease the irritation that long days in the saddle can bring to some riders. 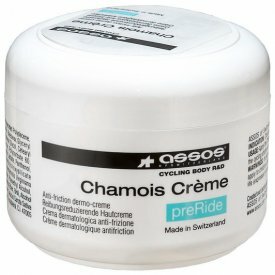 These creams are available from top brands Assos and Morgan Blue so you can be secure in the knowledge that theya re quality products that will help you stay comfortable on the bike. As well as chamois cream we also have a selection of products to help you ride clean as well as your bike; such as our fabric protector aerosol spray from Muc-Off which will keep your shorts from getting too filthy on the trails, or our Motul hand wash which is perfect for getting the oil off of your hands when you've been tinkering with the bike.